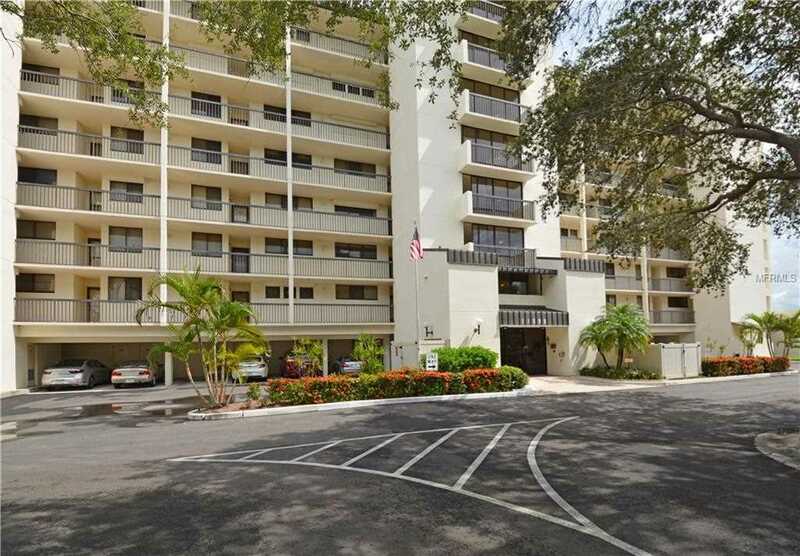 Don't miss this 4th floor corner unit with fabulous views of the Gulf, Intercoastal and pond. Kitchen features white cabinets, breakfast bar and breakfast area with a full compliment of appliances. Enjoy the view from your wrap around balcony, the breakfast area, great room and master bedroom. Master is nice sized with walk in closet, double vanities, tub/shower combo. Split bedroom plan. Unit comes with covered parking and storage area. Shipwatch features two pools, spa, 13 tennis courts, pro shop, fitness room, 2 clubhouses, on-site restaurant, a private marina with slips available for rent or purchase. A short walk to the beaches and shopping. Furnishings can remain or not. Additional Water Information: Private marina on site with dry dock and slips. Directions:Take Walsingham Road West past Indian Rocks Road, then go left into Shipwatch (just before causeway). Turn right and go through guard gate. Guard will give you directions from there. SchoolsClick map icons below to view information for schools near 11590 Shipwatch Drive #448 Largo, FL 33774. MFRMLS data last updated at April 23, 2019 1:11:23 AM PST. Home for sale at 11590 Shipwatch Drive #448 Largo, FL 33774. Description: The home at 11590 Shipwatch Drive #448 Largo, FL 33774 with the MLS Number U8014005 is currently listed at $255,000 and has been on the Largo market for 71 days. You are viewing the MLS property details of the home for sale at 11590 Shipwatch Drive #448 Largo, FL 33774, which includes 2 bedrooms, 2 bathrooms and has approximately 1445 sq.ft. of living area.